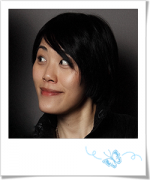 I’m Angela, a User Experience Designer in London. I’m passionate about all things UX! I have at least 4 years applying UX practices within online digital media. Prior to that, I have designed web interfaces for 7 years in a client-facing environment. I’m dedicated, self-disciplined, and a goal oriented team player. I’m currently working as a User Interface Designer at Incisive Media.